Olliffs Architectural Antiques is a family run antique reclamation and salvage yard where quality and authentic are the keywords. We only stock genuine reclaimed period antique items actively steering clear of modern reproduction items which have no feel of age and quality. 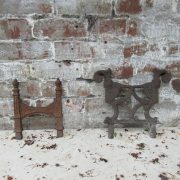 Our website has an extensive display of over 1000 images of reclaimed antique architectural items in over 32 categories. 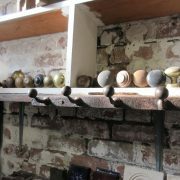 Over 90% of our stock is solely owned by Olliff’s Architectural Antiques. Please click here to see our recent additions to the site. 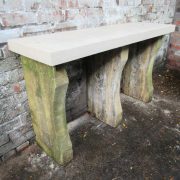 We are specialists in supplying architectural antiques and architectural salvage including antique garden furniture; antique statues; restoration hardware; antique doors; reclaimed gothic architecture; ornamental ironwork; salvaged roofing materials; stone flooring; wrought iron gates; antique fittings and reclaimed stone pillars. We also specialize in architectural salvage and reclamation of stone Fireplace Surrounds, marble fireplace surrounds and timber fireplace surrounds , cast iron fireplace inserts, dog grates and ranges, from the tudor, Georgian, Regency, Victorian, and Edwardian eras. All of our salvaged and reclaimed fireplaces are fully restored and ready to be fitted by our expert fitters on hand to fit your fireplace surrounds and cast iron inserts with the minimum of fuss. We are also able to supply a wide range of reclaimed antique wide oak wooden flooring ,tile flooring ,antique stoves and antique bathroom furniture. At Olliff”s we often have reclaimed period antique double doors and antique French doors; reclaimed period oak & pine wooden panelling and even the occasional library! Our selection of antique door furniture, antique door knockers, bolts, antique door handles and other antique brassware is extensive. Our salvaged architectural antique stone doorways and windows especially in the gothic style are of the best quality available, these too are fully restored and ready to build into any period home or historic building. If you would like to know more about any particular item please use our contact page or email marcus@olliffs.com quoting the stock code. If you fill out the form below the product you are viewing you do not need to quote the stock code, it is sent automatically. Olliff’s Architectural Antiques is not a high street shop so please make an appointment to view stock items. ALL PRICES QUOTED ARE SUBJECT TO VAT at 17.5% unless you are outside the European Community. Delivery of items can be arranged world wide with the maximum of security and care.